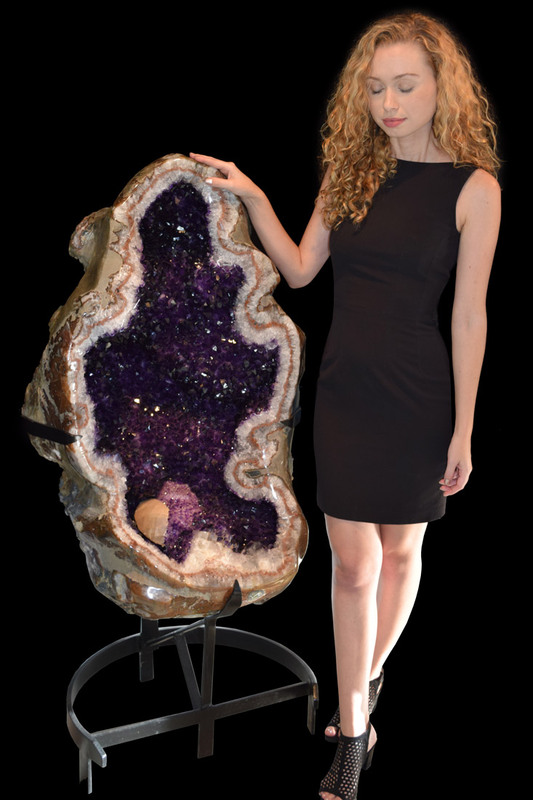 This truly unique amethyst geode, standing 4 1⁄2 feet tall, with an interior opening that is over a foot deep, came from a mine near the city of Artigas in northern Uruguay. 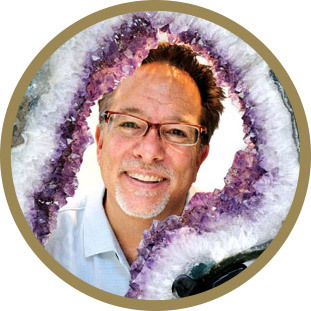 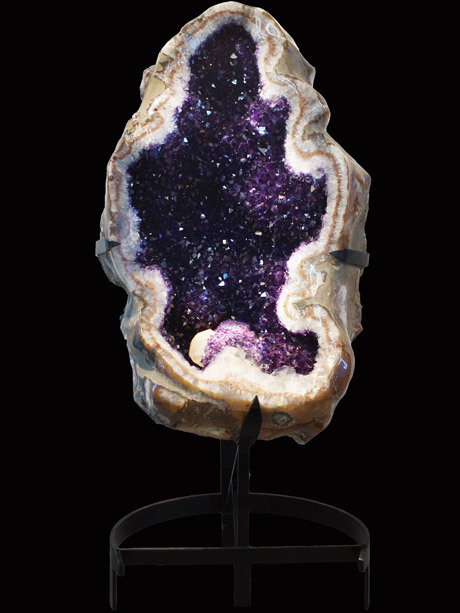 The richness of the purple crystals forming the majority of the geode, when combined with a “bridge” of pure white crystal with amethyst tips, and an incredible sparkling calcite formation abutting the white crystal bridge, makes this a truly one-of-a-kind piece. 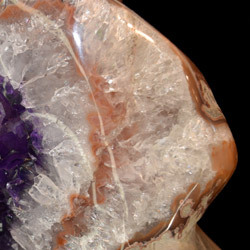 In addition to all this, the polished edges of the piece show striking crystal formations in an agate foundation, further enhancing its beauty. 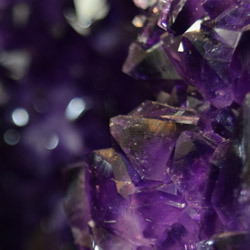 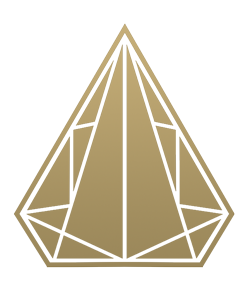 Its shape, as confirmed by an oracle who has seen and experienced the crystal, make it an enhancer, a portal for fertility, birth, and growth. 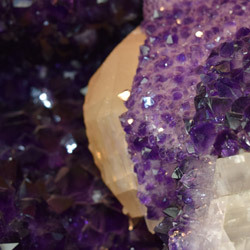 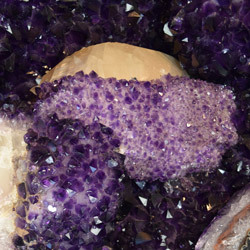 The “peacefulness” of amethyst, the “cleansing” of calcite, the “strengthening” of agate, and the shape of “birthing, new beginnings” make this geode a piece of transformation.